Exciting news!! Through the tireless efforts of Elizabeth and Paul, Grace Rwanda was able to secure the funding to get another shipping container sent from Vancouver to Rwanda!! Container arriving – ready to be loaded!! No matter the weather, the team was ready to load up!! Grace Rwanda Society wishes you a Merry Christmas and A Happy New Year 2019!! Here is a beautiful video of Christmas in Rwanda taken in the amazing capital city of Kigali. Grace Rwanda is receiving a shipment of 26, 306 books from Book Aid International!! Book Aid International is the UK’s leading international book donation and library development charity and they have generously donated thousands of books to be delivered to Kigali at the end of July. While these books are free and the shipping is free, there is still a cost to Grace Rwanda. It costs about $600 USD for the clearance into Kigali, as well as the cost of renting trucks to bring the books to the Gisozi warehouse. There is also the cost of labour to hire people to load and unload the trucks and then to sort and stock the shipment once it has arrived at the warehouse. Altogether Grace Rwanda is needing to raise approximately $1200 USD to get these books. If anybody can donate it would be greatly appreciated!! Don’t forget that donations are eligible for a tax receipt! Please help these wonderful children continue to enjoy the wonders of reading!! The children who attend Elizabeth and Paul’s Sunday services love sports so much that they have dedicated the last Saturday of every month as sports day! The founder of Rulindo soccer center, coach Crallene, helps with coaching the kids. A volunteer from Japan helps with the sports day. The kids enjoy touching her hair and being carried like a baby on her back!! Heartfelt apologies for not updating the website sooner. It has been far too long since it has been done and it is NOT because there has been nothing going on! Elizabeth and Paul continue to be as busy as ever!! As you can see, the Sunday services are still going strong and growing week by week. A cover was made for the front of the building so that everyone stays safe rain or shine!! 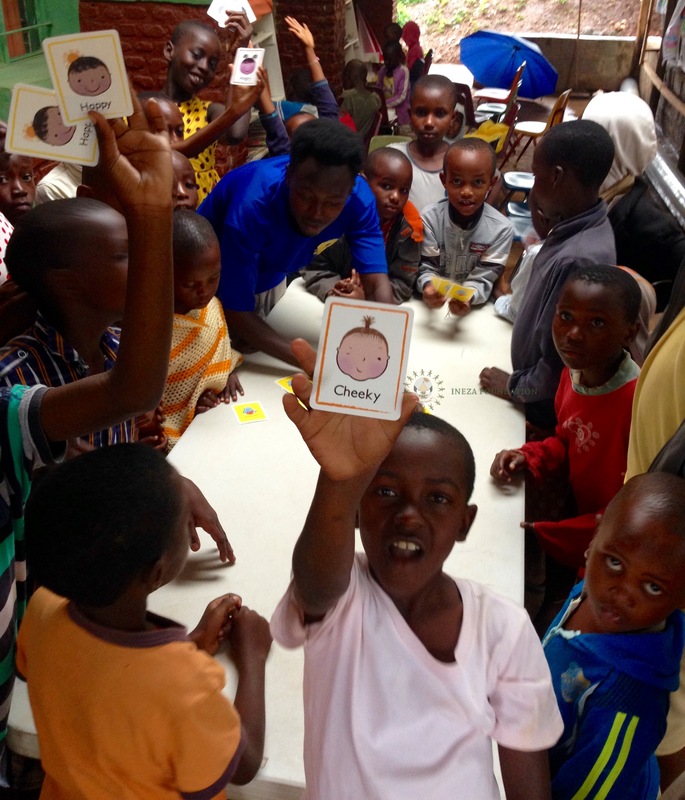 The reading club for children and youth at Grace Rwanda/Ineza Foundation’s office in Gisozi, Gasabo District is flourishing. Arita and Kirezi are among the readers, and they enjoy the sport activities there.